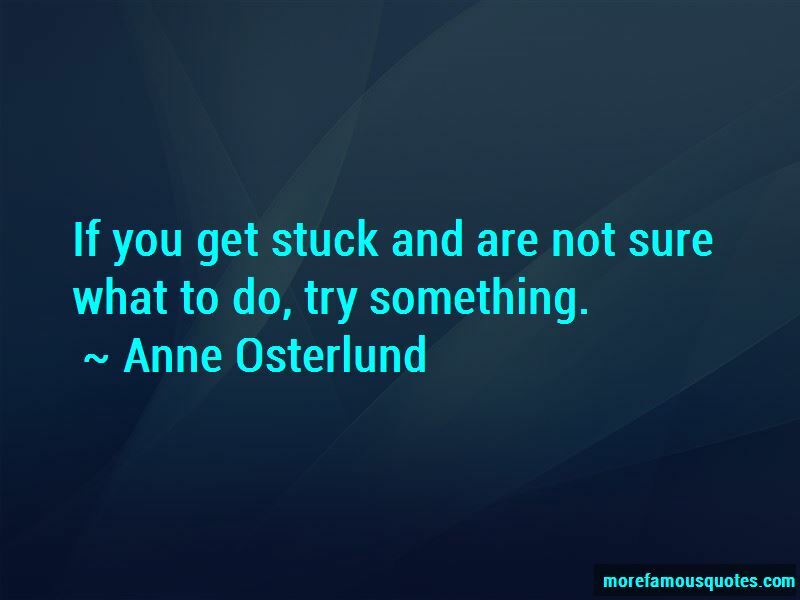 Enjoy the top 15 famous quotes, sayings and quotations by Anne Osterlund. If you get stuck and are not sure what to do, try something. 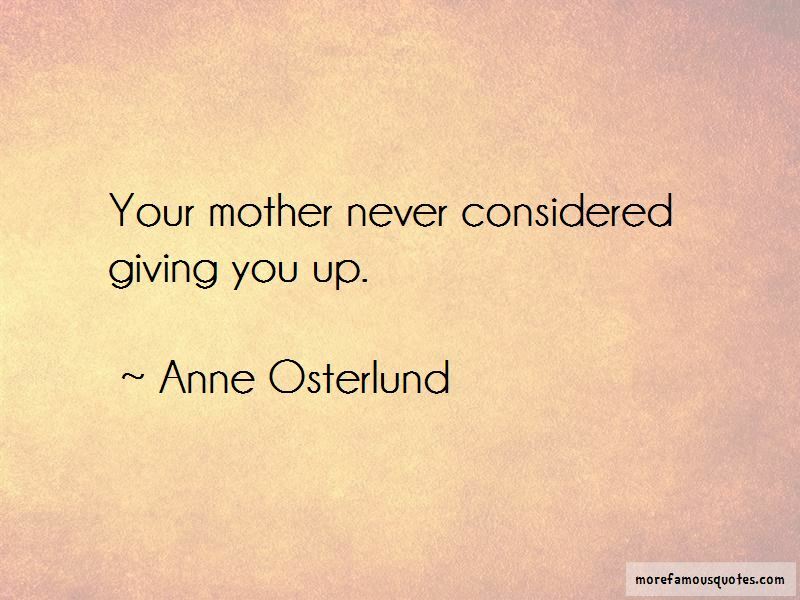 “Your mother never considered giving you up. “Gregory: Well, Dane, you could share your impression with my alma mater instead. Gregory: Glad to hear that hasn't changed. And which part do you find the most challenging? 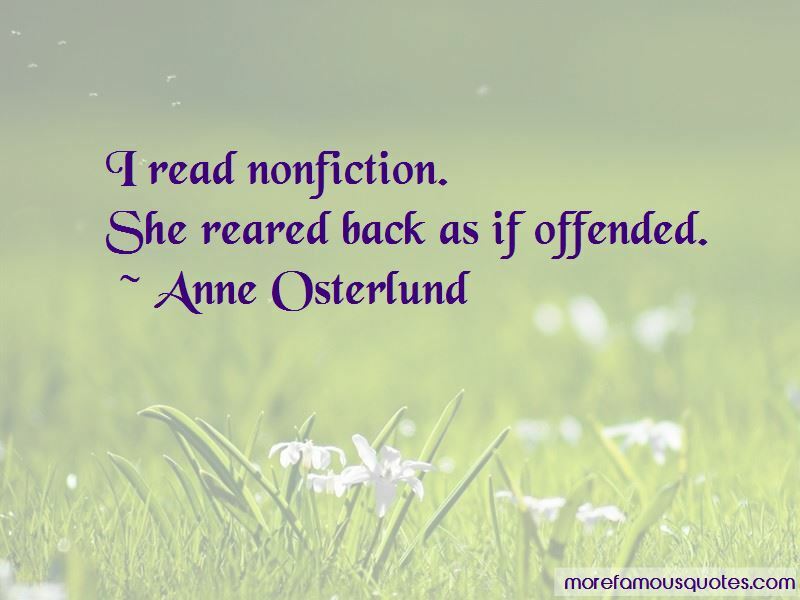 Want to see more pictures of Anne Osterlund quotes? 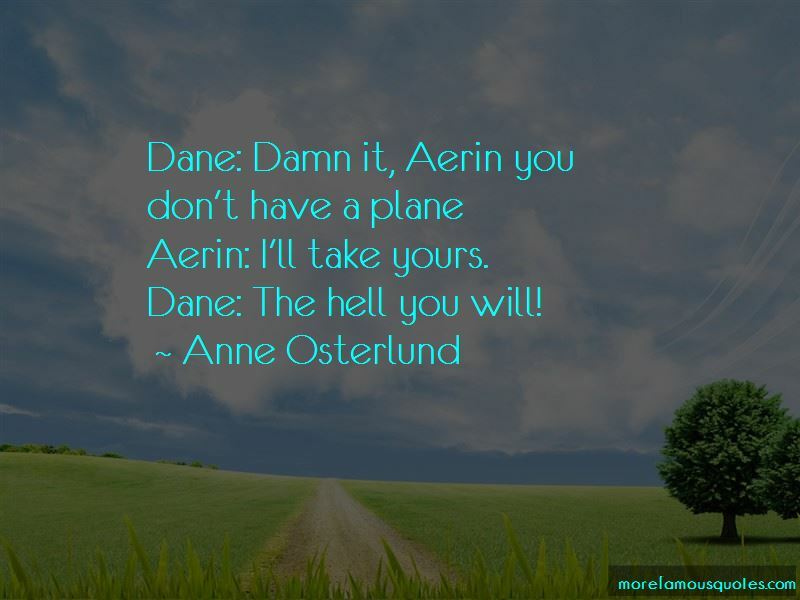 Click on image of Anne Osterlund quotes to view full size.